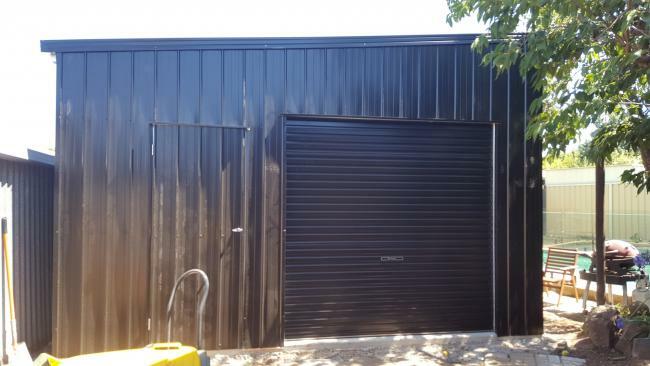 Finally got the shed up and finalised through the council just before Christmas . 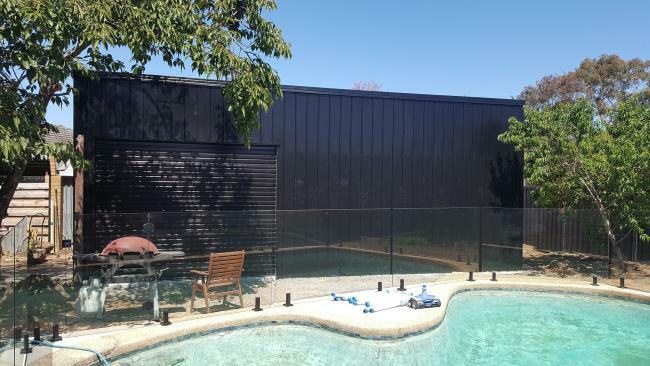 Under Oz new pool reg's some of my budget had to go to a new pool fence .I bought the glass fence kit from Frameless direct . I'm looking at reducing some the noise/music level's coming out of the shed . 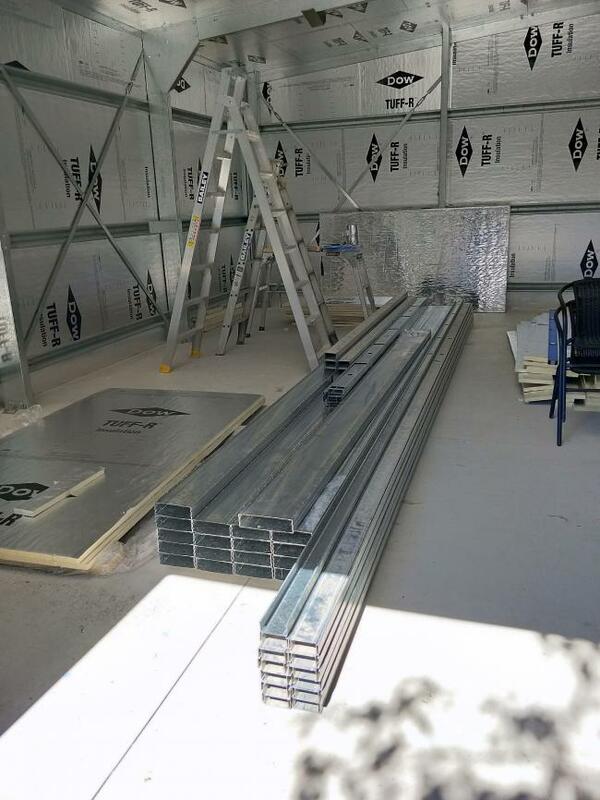 Don't have the budget for complete sound proofing .looking at adding mass to the internal wall's. 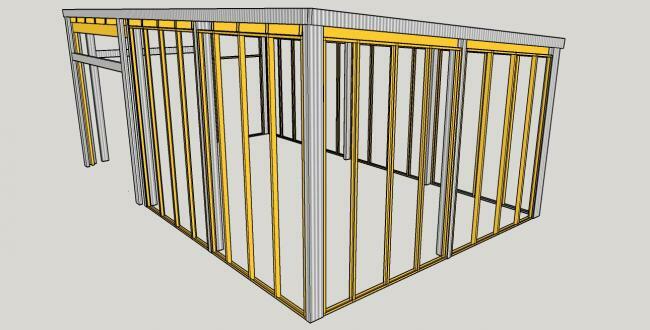 The internal walls and ceiling joist will be isolated from the shed wall's & roof using steel studs & Joist. 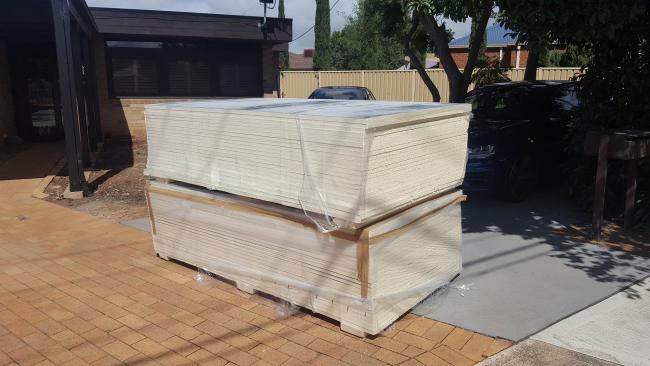 Concrete floor covered with 10mm pure rubber interlocking tiles 20kg/m2 . Plaster wall combo options & area @ 122m2 . 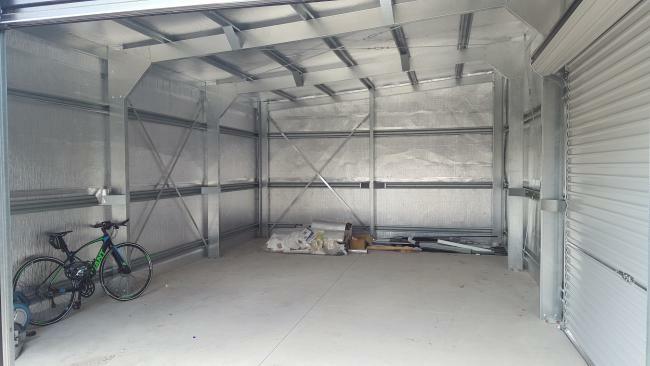 Theres 2 roller doors which will have bi-folds or stacker doors fitted on the outside latter on . Before framing starts I need to fit a therma barrier on the inside . The walss already have a 5mm honeycome barrier but its not enough . First job is to create a thermal barrier so its comfortable to be in the shed . I ended up going with DOW Tuff-R 25.4mm PIR board . 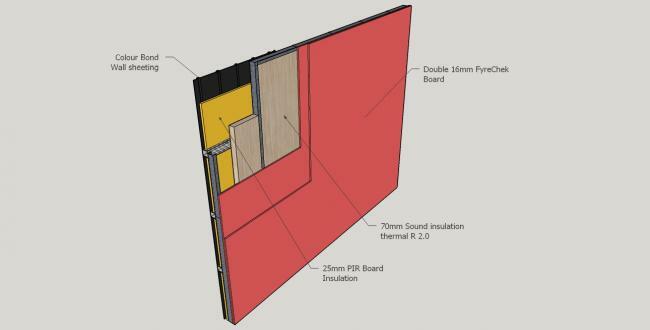 This will be screwed/glued & taped in between the walls 65mm hat channels & colourbond walls using 40mm spacers. 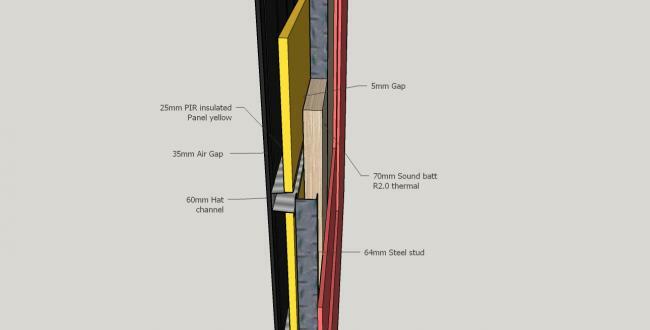 It will be screwed to the under side of the roof hat channels .Walls 40mm air cavity .ceiling 65mm air cavity. Walls/roof should calc out to a R4.5 combined with wall batts . B150-12 , 5.1m long & bearer B200-16 3.5m long . Hmm, nice work Mal! 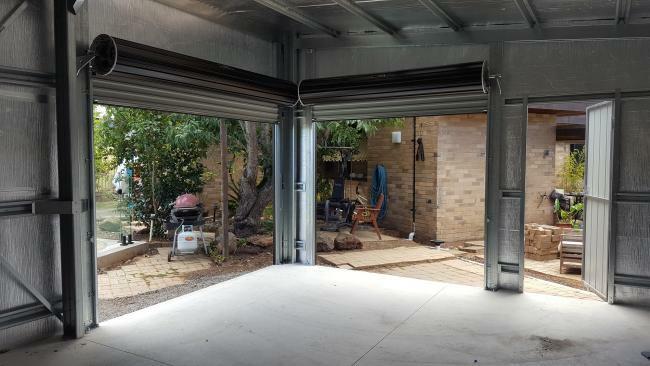 You'd make a great advisor to my partners neighbour, who's set up a commercial sheet metal factory in his garage. 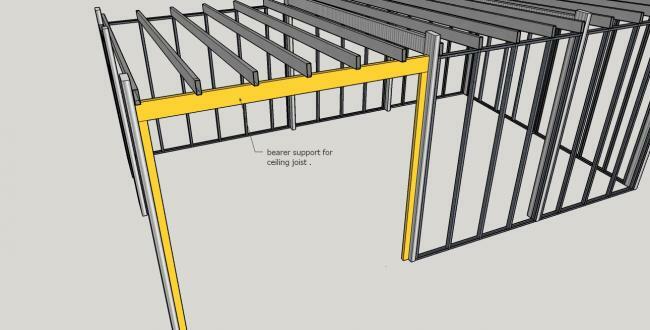 Steel studs are less able to transfer sound due to flex . But it all depends on gauge . 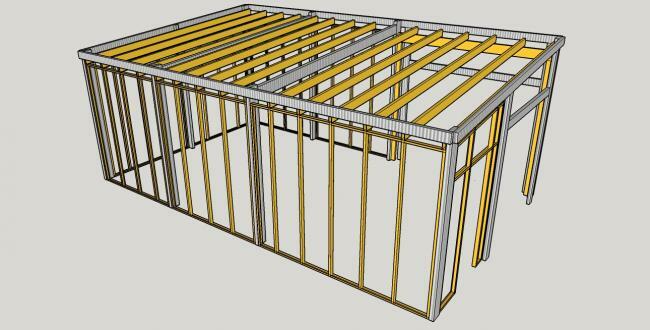 The steel joist allowed me to go with a smaller dimensional size over timber & cheaper per L/M . 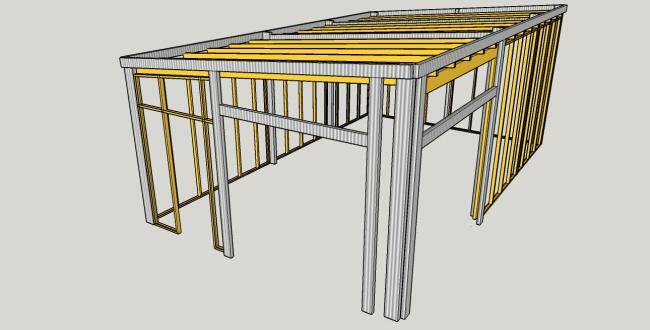 Timber studs with resilient channel on timber studs should work out the same . The steel studs , joist & brackets came today . Looks like you'll be needing that streamer any day now. 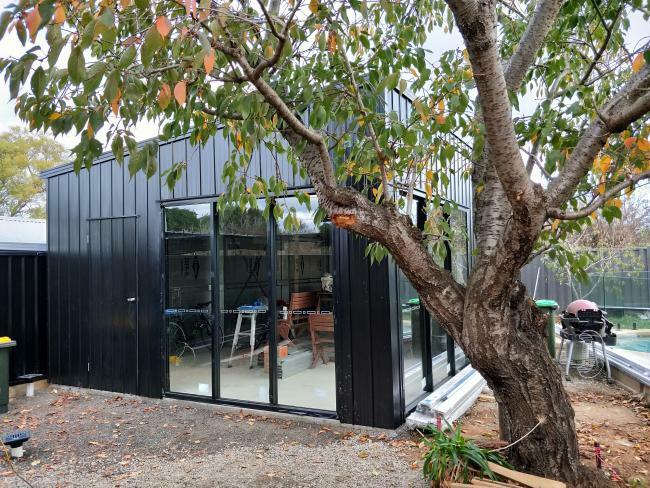 Thinking of running 2 ethernet lines out to the shed ? No need, unless you are worried about geckos eating through one of them. Haven't done much ,due to a family illness . 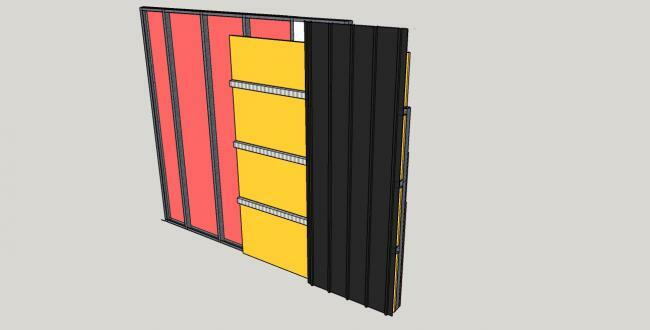 Fitted the sliding stacker doors ,bought 3mm alloy angle & flat bar to make new trims to go around the doors . 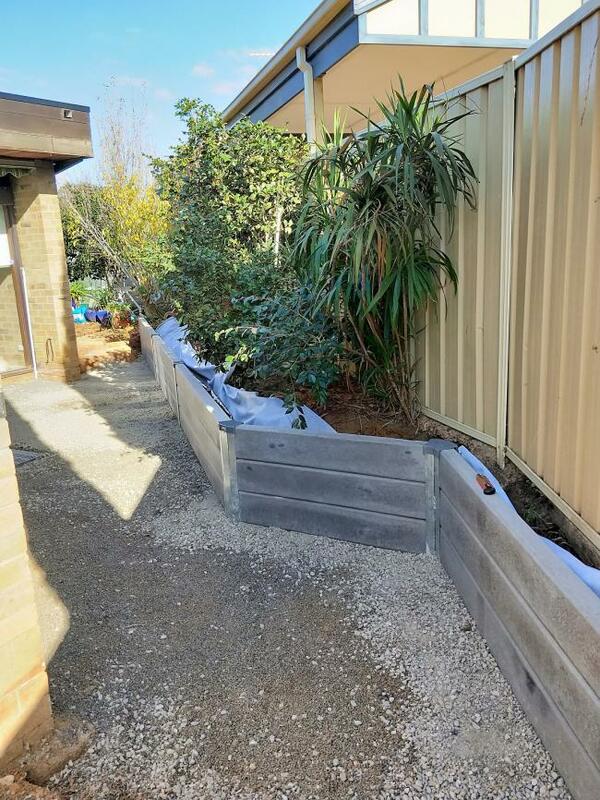 Also built a concrete retaining wall . 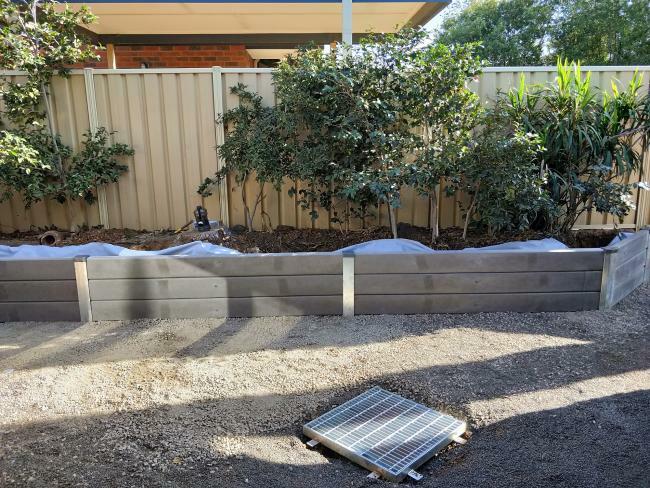 The sleepers are 2400mm x 200mm x 80mm the steel H sections are 100uc gal .